Property Investors, Brace for Change! Property investors should brace for change. Having successfully grown wealth in recent times, property accumulators are now the “tall poppy” attracting unwanted attention. Investors now dominate the housing market. Over 50% of all loans settled are for investment loans and there are rumbles within the RBA that a limit on investor dominance is required. In the past, these rumbles have just been a warning, but we should expect new limits in place as early as Xmas. Anton Hamer, Plan Assist’s Finance Director and Loan Advisor explains what new rules may be ahead for many property investors who plan on borrowing in the years to come. Many investors are flying blind when making long term plans to build a property portfolio. Buying multiple properties based on their current borrowing capacities is now a moving target and change is occurring in the next few months. Investors have had a great run in the last two years with increasing property prices in the east coast capital cities and for the RBA, things are travelling a little too fast for their liking. RBA assistant governor Malcolm Edey on Thursday addressed the Senate pointing out that 50% of all loans settled are for investors, much higher than traditional levels. The increase is causing a problematic imbalance in the housing market with “speculative housing investment” activity and committees are investigating what they can do to influence the problem. Property investors don’t see any problem. Life is good, they have a job, markets are increasing, new equity is available from higher property values and their wealth base is growing which was their plan from the beginning. Interest rates are at an all time low and everyone is happy, right? Well, the RBA has a few things on its plate. Whilst it regulates the impact of monetary policy to curb inflation and balance out spending within our domestic economy, its losing power as those pesky investors feast on a banquet of appreciating property. Interest rate changes, used by the RBA are becoming a blunt weapon as investor tax deductions grow. Typically an investor has tax deductions on their interest expense so a 1% increase in interest rates only equates to say 0.6% increase to investor’s pockets, and the pain of a rate increase does not deter investors as much as home owners who have no deductions. 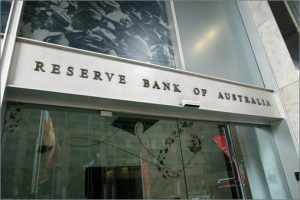 Without this influence over investors, the RBA may have to try irrational methods such as doubling their rate movements to stimulate or limit the economy using some other means. And its not just the RBA that is feeling a lack of power, it’s also the Abbott government looking to curb the impact from investors on tax revenues. The Grattan Institute says negative gearing costs the federal government approx $2.4 billion a year. The federal government are currently reviewing whether to end negative gearing for new investors. Over 65% of taxpayers owning investment property use negative gearing to assist with their loss-making investment and this can also drive property prices higher. New Rule: Lower Borrowing Capacities. The RBA is asking prudential authority APRA to put in place lending laws that increase the income testing “buffer” levels for lenders. When the lender checks your income and expenses, you may find they have wiped thousands off your maximum borrowing capacity. The Odds: High chance of this occurring now that this is the main focus of the RBA, and measures are relatively easy for banks to put in place. Keep an eye out before Xmas for new laws proposed, and changes in bank policy over the next 6 months. New Rule: No negative gearing. The Abbott Government considering the end of negative gearing for new investors. It will reduce tax deductions and reduce the amount that new investors are prepared to borrow. The price they are prepared to pay for a property is also reduced. The Odds: Low chance as this would be very unpopular policy. New Rule: State Govt open planning restrictions to allow more land for development. There is talk of releasing restrictions on development of land as land property prices have increased due to its scarcity. With more development allowed, we may see a weaker property market in future years. The Odds: This is already happening at a steady pace and will be driven harder if property demand from investors continues. If you are planning on buying multiple ppropertiess over the coming years, keep an eye in the media for changes in the short term as restrictions are surfacing. With the RBA losing more of it’s ability to affect the economy, we are backing the cat into a corner. Watch out for its claws. ← Negotiation: How to reach a win-win outcome.